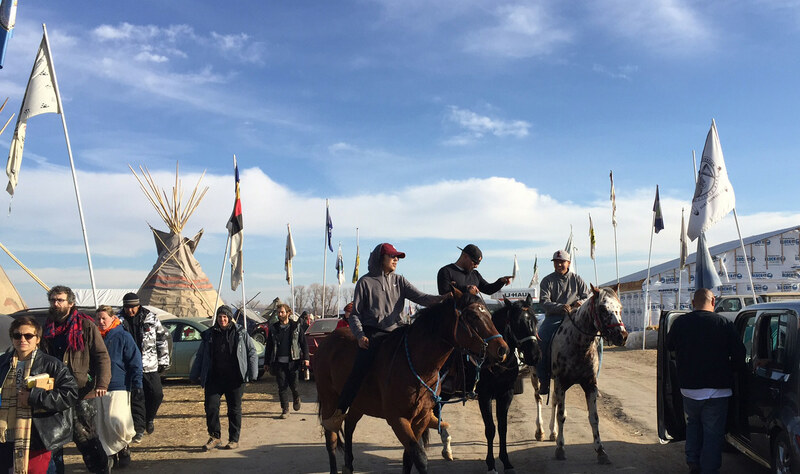 The face-off between the Standing Rock Sioux and the Energy Transfer Crude Oil Company, LLC over the construction of the Dakota Access Pipeline is a story that continues to dominate headlines. 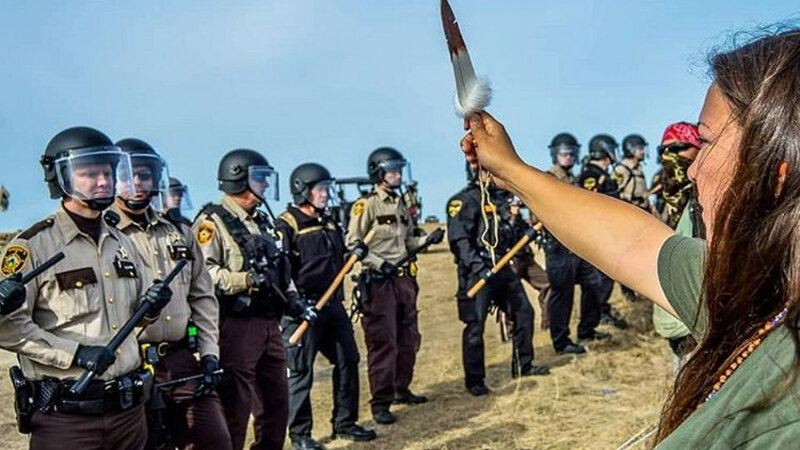 The conflict boils down to opposing views on the development of an oil pipeline due to potential adverse affects on the environment and the Sioux way of life. The project was envisioned as a way to enable domestically produced oil to reach “major refining markets in a more direct, cost-effective, safer and responsible manner.” If the United States can transport their own stores of oil faster, this raises the production of domestic oil to meet consumer needs, and thereby reduces the country’s dependence on foreign oil. The Facts website also states the use of the pipeline would “help ease transportation shortages for agriculture and other industries,” which would allow agricultural businesses to save money on transportation costs. According to CBS News, the protests against the pipeline’s construction by the Standing Rock Sioux began in April and the encampment on the worksite quickly grew to 1,000 people as of September. The Standing Rock Sioux are a branch of the Great Sioux Nation and their reservation was originally established in 1868. Information found on StandingRock.org details how treaties made with the U.S. government in both 1851 and 1868 granted the Sioux the right to self-government as a sovereign nation. These treaties assure the Sioux “a government-to-government stance with the states and federal government entities” on issues pertaining to their land and certain policies. 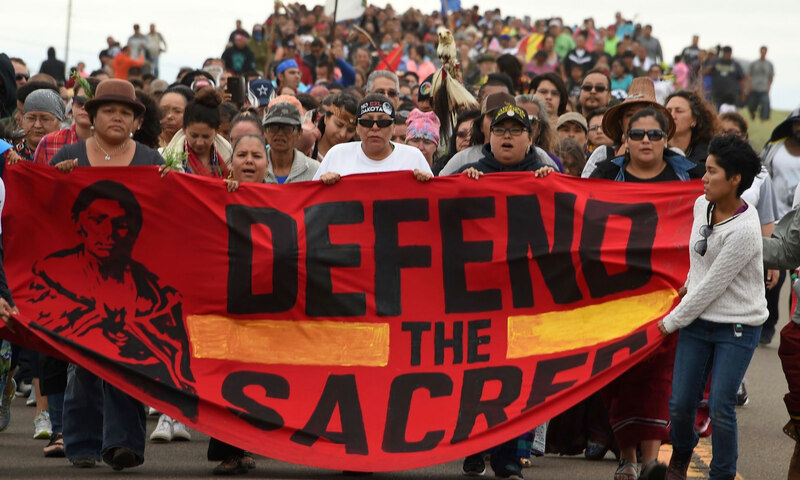 Another factor behind the protests is that the government did not properly consult with the Sioux before making the decision to allow development on tribal land. Since the Sioux are a nation unto themselves, they are entitled to be a part of the policy arrangements that concern their land. If the United States decided to develop on land in Canada without first discussing the matter with the Canadian government, there would certainly be public outrage. What the country has been witnessing in the months since the protests began is a modern day example of the David and Goliath story. It’s the Standing Rock Sioux, led by tribal chairman Dave Archambault II, against the combined might of the Energy Transfer Crude Oil Company and the backing of the US government which has a vested interest in the completion of the pipeline. Energy Transfer Crude Oil is not backing down because they’ve already invested $3.7 billion in the project. Also, the pipeline was 60 percent completed as of September according to a memo sent by CEO Kelcy Warren. The Sioux are not yielding either, but for completely different reasons. Instead of monetary gain, the Sioux are only interested in preserving their culture and not having their ancestral land disturbed or disrespected, or having their drinking water contaminated if a spill should occur. In a memo sent to employees, the oil company also argues that “concerns about the pipeline’s impact on the local water supply are unfounded.” However, there seems to be no dispute on the claim that construction will alter sacred grounds.